The students of Prendiville Catholic College in Ocean Reef are reaping the rewards of a joint project between Bankwest and the Australia Business and Community Network. The Bankwest program provides graduates to mentor students, meeting regularly over several months to develop valuable life and work skills. Mark Antulov, Principal of Prendiville College, said the school currently has some 15 students testing the pilot. 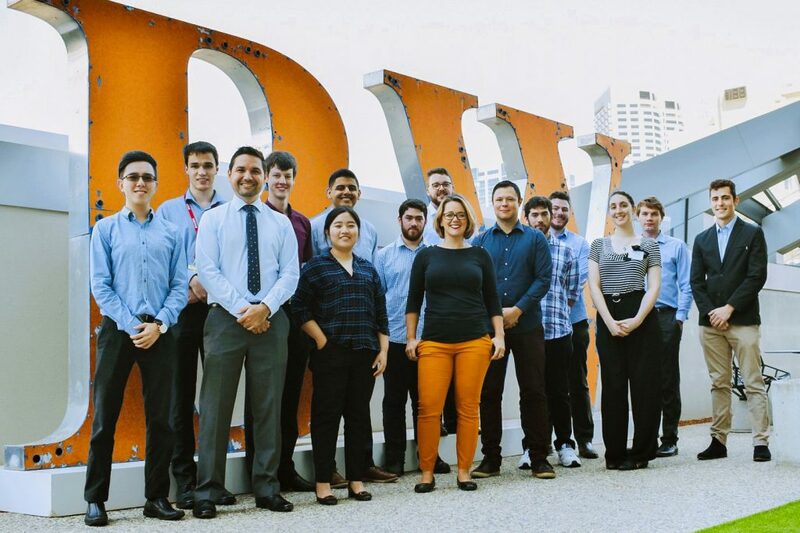 “They’re already working with the Bankwest graduates, solving real world problems that the digital transformation team is facing at Bankwest,” Mr Antulov said. Mr Antulov went on to explain that Bankwest is in the process of preparing for the move to a cashless society and that Prendiville students are working with the graduates in critical thinking mode to find potential solutions to problems sourced from the bank’s real-life experiences. “The other exciting thing about this program is that some of the students selected are on the Autistic spectrum, and because they have these amazing abilities, especially in the area of coding and mathematical critical thinking, that’s really strong,” Mr Antulov added. The program has three core areas: cyber security, coding, and data analytics – all of which correspond to the three areas where there is an identified shortage in the workforce. “We want to turn this into one of our pathways, where kids go straight from school to the workforce having learned the skills at school, so that when they go off to university and they go to work they don’t have to retrain,” Mr Antulov explained. “Our aim would be to have this next year as a pathway, so kids can choose post Year 10 to opt into this internship pathway, and it really is a school to work/industry program. They’re learning the soft skills required for the future workforce, but the future workforce is there and present now. The inclusion of the Bankwest program is in direct support of the school’s strategic plan, which calls for Prendiville to “build alliances and networks with professional communities beyond the College, including community agencies and organisations related to post school options”. Since the program began 11 years ago, Bankwest colleagues have mentored more than 300 students. In 2018, 47 Bankwest colleagues were involved in mentoring students from WA high schools from Girrawheen, Swan View, Armadale, Balga, and Thornlie. Opened in 1986, Prendiville Catholic College has a history of providing education for students across a wide range of courses. It takes its name from the Most Rev Dr Redmond Prendiville, who was the Archbishop of Perth from 1933 to 1968.